When violence breaks out between two different groups in Africa, it’s common for western media reports to characterize what happened as “tribal violence” or “ethnic conflict.” Such nomenclature is mandatory for writing about Africa, wrote Binyavanga Wainaina in his landmark 2005 essay How to Write about Africa. Such reductionism makes complicated scenarios easier to digest during a quick survey of the morning paper, and also handily removes any trace of western responsibility–whether it’s the lingering effects of colonialism, the arbitrary nature of political boundaries fixed by European governments, or the mad rush by outside interests to cannibalize resources in what today remain structurally weak states. Keep this in mind as we follow the news about Abyei, a small region on the border between Sudan and South Sudan. It’s a “contested area,” press-speak for it being filled with too many guns and land mines, a lot of suffering people living in makeshift tents, and a poorly equipped bunch of guys with blue helmets trying to prevent further violence. It doesn’t officially belong to either Sudan or South Sudan, but rather lives in cartographic limbo, awaiting a decision by its residents about which country they want to join. 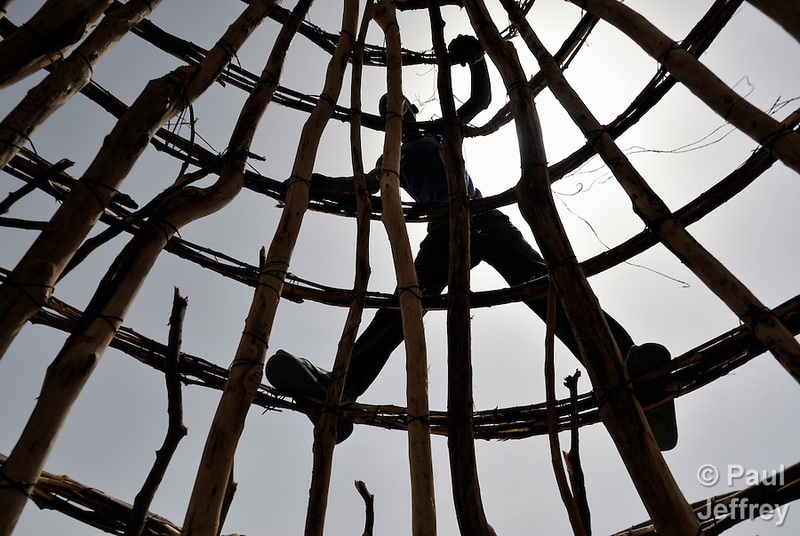 Abyei is one of those areas that could be a textbook example of how two different groups can possess two very different understandings of the land’s vocation. You know the story, it goes back to Cain and Able. One was a farmer, one a rancher. One ends up dead. With my typical fuzziness for Biblical details, I always forget which was which, but that’s not important. What is important is that conflict is natural between two such groups, yet more often than not the genuine good nature of people has allowed for peaceful coexistence, even thriving symbiosis. After all, when grazing animals poop on the ground, that increases the fertility of the soil that “belongs” to the farmers. That used to be the case in Abyei, I was told by people there earlier this year. People like Bruna Maloal, a 63-year old woman who remembered that Abyei was a peaceful place when she was a child. Every year her tribe, the Ngok Dinka, welcomed the Misseriya nomads who came to the region with their vast herds of cattle. “They came with their cows for the water and grass, and we would eat together. They harvested the gum from the trees, and we would buy some of their goods. And when the rains came, they would go home,” she told me. Kuol Deng Kuol, the paramount chief of the Ngok Dinka, also recalled a time in his childhood when there was no war between his tribe and the Misseriya. “When they came to the houses of our parents, we knew them as guests, as needy people who we helped. They came every year in the dry season to find water for their cows and to catch fish and harvest gum and fruits. 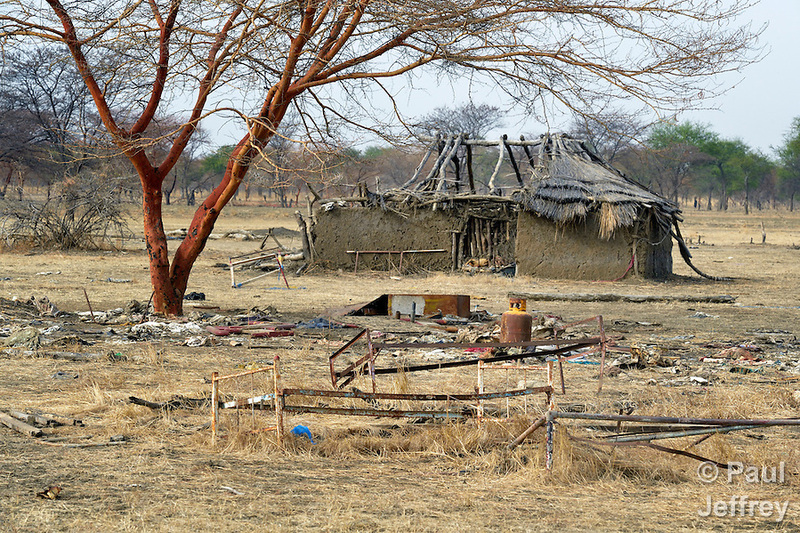 If there was a famine, some families would stay here for the year, and our parents divided them among the families so they could feed their own cows until the following year,” the chief told me. The peaceful coexistence of Maloal’s and Deng’s childhoods started unraveling during the 1960s, when the Misseriya were recruited as a proxy militia by the government in Khartoum as part of its long war against secessionists in the south. It was a typical strategy for the riverine elite in Khartoum. Watching the periphery of the country slide out of their control, they used ethnic tensions to their strategic advantage. In Darfur, for example, nomadic Arab tribes were armed and paid to attack settled African villages, a campaign that led Sudan’s President Omar al-Bashir to be charged with genocide and crimes against humanity by the International Criminal Court. “Omar changed things. Maybe he discovered something here he wanted. But the whole problem began with Omar,” Maloal told me as she stood in the charred ruins of what was once the Catholic Church in Abyei town, where I went with a Catholic priest. Maloal, a catechist, is one of the few Abyei residents to have returned to the town, which was looted and burned by Misseriya militias in 2011. She has had to rebuild her simple house from scratch. 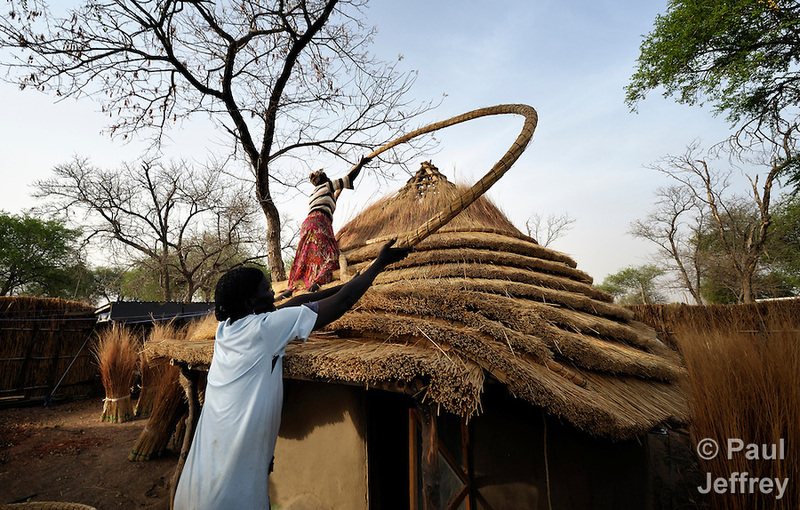 The Misseriya, with backing from the Sudanese army, had attacked Abyei three years earlier, and Maloal told me she hid in the bush for four days before coming back to the smoldering ruins of her house. A nearby church compound was also sacked, and everything of value carried away. Yet that violence was nothing like the all-out assault of 2011, when Khartoum tried to provoke the soon to be independent government in Juba to respond militarily to its attack on Abyei. Such a response would have given the north an excuse to launch a full-scale war that would have derailed the South’s independence. Juba didn’t take the bait, however. Yet the people of Abyei paid a heavy price. 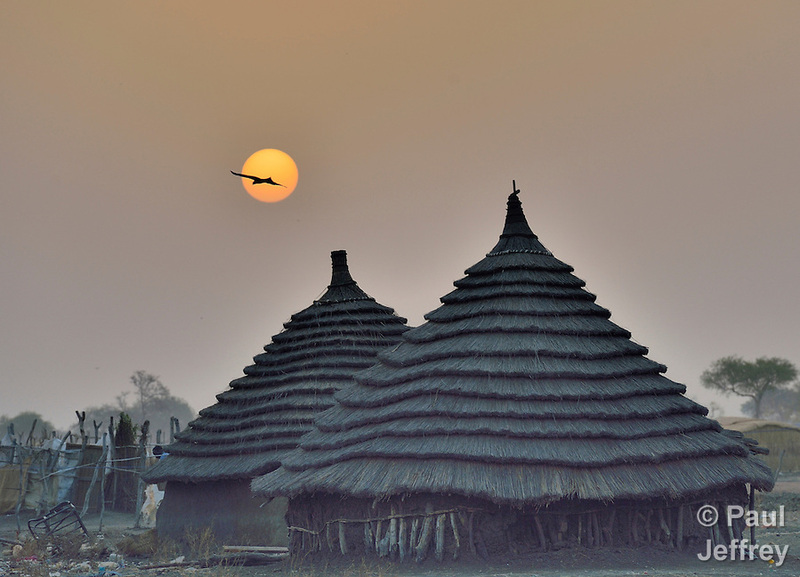 About 110,000 residents of Abyei were displaced by the assault. Most of them sought shelter in Agok. 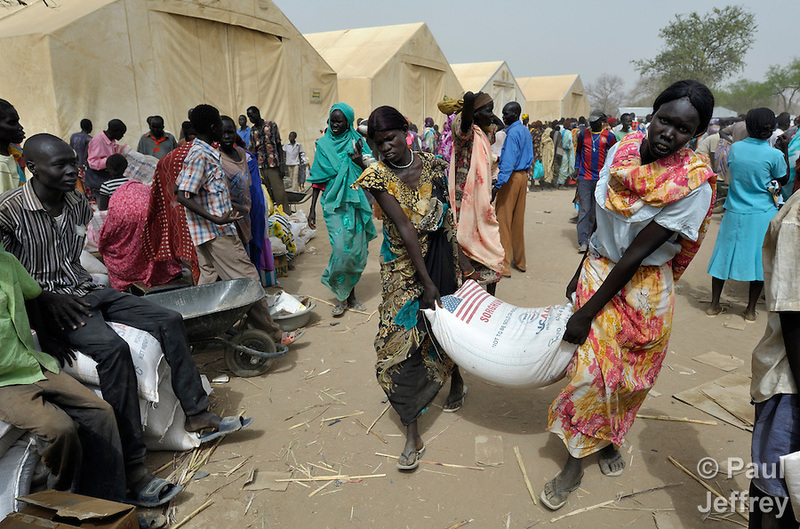 Heavy rains caused the tanks and heavy artillery of the northern forces to get bogged down in mud before they could advance on Agok, preventing what could have been an even greater humanitarian crisis. Maloal spent the next year living under a plastic tarp. 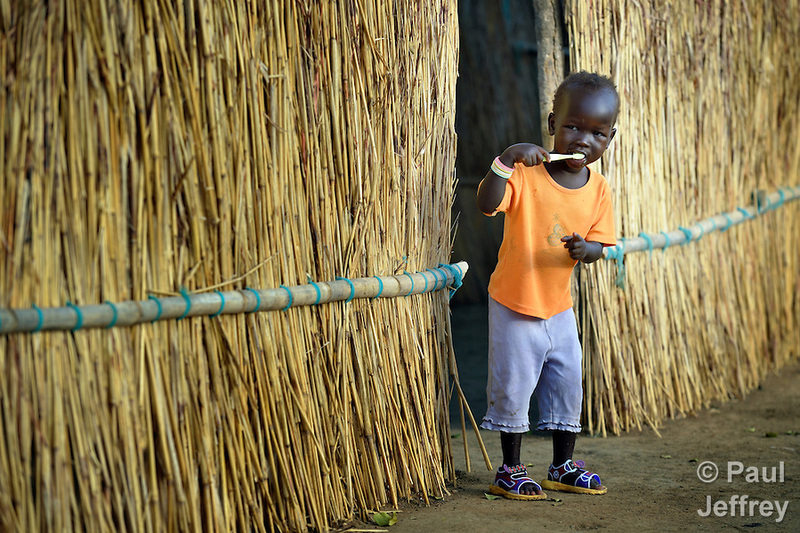 When the Misseriya pulled back from Abyei in mid-2012, she was one of the first to return. She set to work cleaning up the church compound, which was once again in ruins, and she picked through the charred rubble of what had been her own mud-walled hut. She regularly gathered other Catholics to pray. 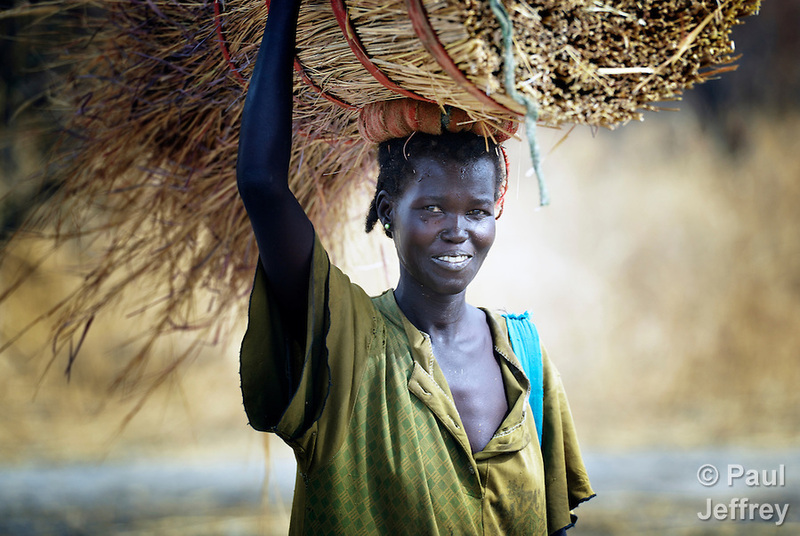 Maloal says her five children and their families remain living to the south of Abyei where they have access to food from the United Nations World Food Program. 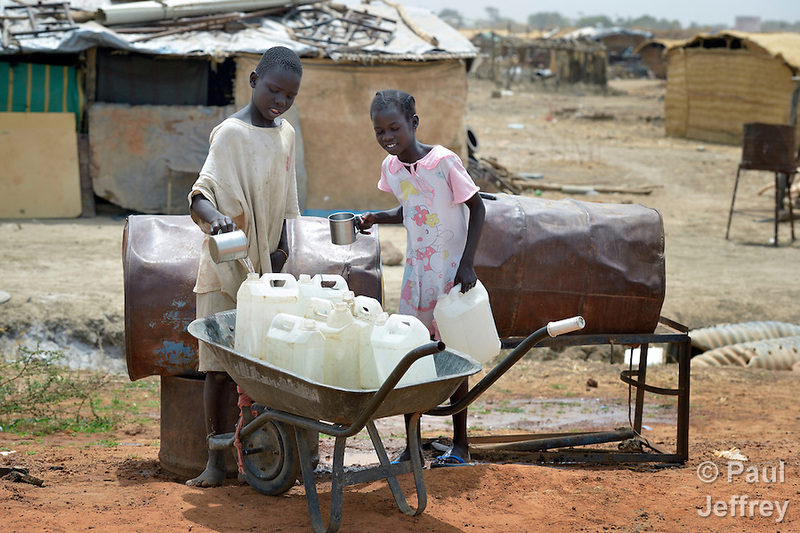 In Abyei town, there is little help from the outside. Maloal harvests wild greens that she uses to supplement what’s left of two bags of sorghum she received last August from United Nations peacekeeping troops in the town. Here she is (on the right) praying with some other women there. Abyei is often described in press reports as an “oil-rich region,” as if Africa’s infamous resource curse could explain all the violence. Yet much of the oil is located near Heglig, which the Permanent Court of Arbitration took out of Abyei in 2009, awarding it to Khartoum, and Chinese companies there today are pumping crude as fast as they can, thus helping to fund Khartoum’s military. According to a recent report from George Clooney’s Satellite Sentinel Project, that military is massing tanks and other heavy combat equipment at Heglig, possibly preparing for another assault on Abyei. Water, an increasingly common denominator of conflict in many parts of the world, may be a more likely motivator for Khartoum’s behavior, or it could be just a reflexive response by al-Bashir, who faces growing criticism in his own ranks for having “lost” South Sudan. Ordering increased attacks on Abyei and other far corners of his country, such as the Nuba Mountains and Blue Nile regions as well as Darfur, may be a way of appeasing the hardliners within his own party ranks, who are also reportedly tired of al-Bashir’s repeated bashing by the international community. On August 4, Saudi Arabia ordered his Iran-bound jet to turn back, refusing it permission to cross the country’s airspace. After talking with Maloal in Abyei town, I went to find Chief Deng. After a lengthy interview, he walked me through the ruins of his office, which like everything else was looted and burned in 2011. Yet although the Misseriya were responsible, he didn’t blame them. I pushed him on the point, but he insisted that the violence was not a tribal conflict, the shopworn phrase used too easily by journalists, but rather a political conflict clearly manufactured by Khartoum. Actually, he said “Omar,” as did Maloal. Recalling the good relations with the Misseriya of his childhood years, he was hopeful that the two groups could work out a peace deal, and he backed an African Union plan that calls for a referendum this October on Abyei’s future. As part of that plan, although only actual residents (read Ngok Dinka) will be able to vote, thus guaranteeing that the region will align with South Sudan, the rights of nomadic herders to travel through the region in their seasonal migrations would be permanently guaranteed. (A referendum in Abyei was originally scheduled for 2011, to be held at the same time as the independence vote in South Sudan, but Khartoum blocked it.) Yet Chief Deng also recognized that patience has its limits, and told me that if Khartoum continued to block the October referendum, the Ngok Dinka might just declare Abyei’s adhesion to South Sudan and let the chips fall where they may. He preferred a negotiated solution, however, and was working hard to build consensus with some sectors of the Misseriya about a peaceful alternative. Here he is translating for me some of the racist graffiti left behind by the Misseriya. And then, less than three months after we spoke, the chief was killed when he was traveling in a convoy of vehicles from the United Nations’ peacekeeping mission. They were stopped by Misseriya combatants who demanded that Deng be turned over to them. The Ethiopian UN troops refused, and after several hours of negotiations some Misseriya opened fire on Deng’s vehicle, killing the chief and one Ethiopian soldier. Leaders in Abyei and South Sudan claimed the order to kill the chief had been given by Omar. The chief’s assassination, and the continued rejection by Khartoum of the proposed October resolution, do not bode well for the future of Abyei. Negotiators have also broached other plans, including partitioning the region into two sections, but that doesn’t address the needs of the Misseriya to continue their historical migration through the region and it would leave most of the more than 100,000 people displaced in 2011 without a home to return to. So Abyei will continue to be a “contested region” for some time to come. During my week-long stay in Abyei, I slept at night in a tent in the middle of the displaced camp in Agok, and ate with the two Catholic priests assigned to Abyei, who live among the displaced. I documented life in the camp, and also covered the work of Solidarity with South Sudan, an international network of church workers that provides training in the new country. 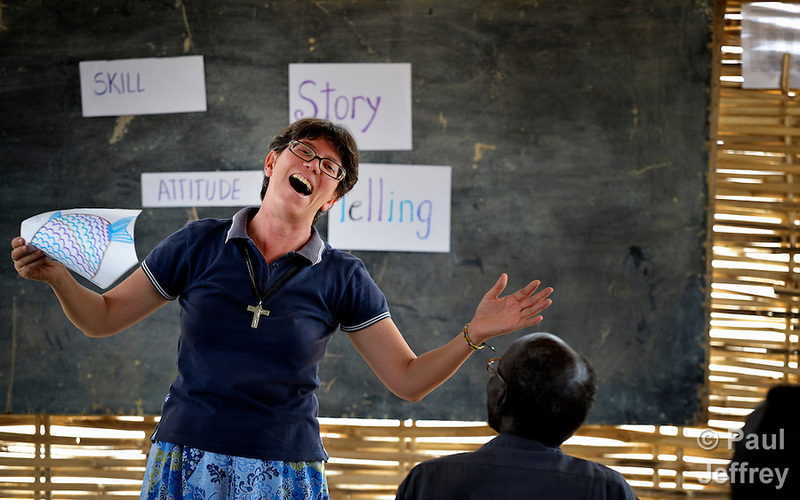 In Abyei, Solidarity is doing teacher training. 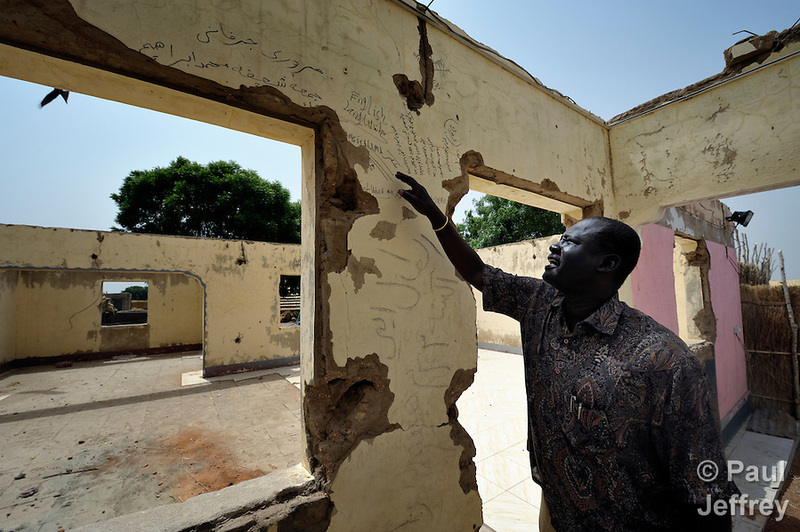 It’s a critical task, as classroom teachers in Abyei are switching from teaching in Arabic, the language of Sudan, to English, the language of South Sudan. The only thing lacking is the opportunity to go back to their villages and reopen their schools. Here’s Sister Sandra Amado, a Comboni sister from Brazil who is part of Solidarity with South Sudan, teaching teachers in Agok. 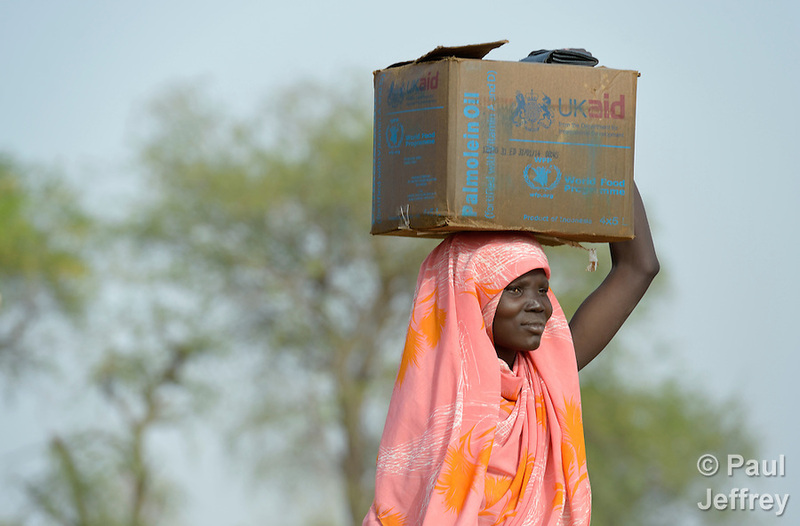 The displaced families in Agok get help from a variety of UN agencies and NGOs, but those who want to return to their burned out villages are largely on their own. Most international aid agencies, afraid of repercussions for their work in Sudan, have either stayed away or kept a low profile in Abyei. Aid workers told me privately that if a vehicle of theirs is spotted in Abyei town, within two days their agency’s representatives in Khartoum gets a visit from the government’s Humanitarian Aid Commission, the official minder of humanitarian workers in Darfur, and the agency responsible for kicking out more than a dozen international NGOs it claims had meddled in political affairs. So in order not to lose their access to Darfur, most aid workers have steered clear of Abyei, to the detriment of the tens of thousands of people in Agok who simply want to go home. Here are some images of life in Agok. 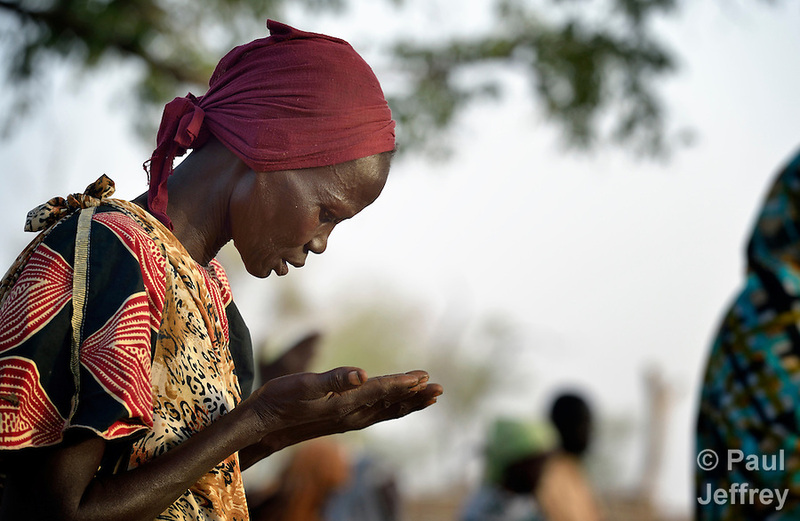 The Abyei Catholic parish is an exception, and has courageously accompanied the people returning to their burned villages, where the church is drilling new wells to replace those that were destroyed by the Misseriya militias when they withdrew. It has also swept up the ashes and rebuilt clinics in towns to which people are hesitantly returning. One of the priests took me on a tour of some of these villages, most of which are located in areas that other aid agencies consider no-go zones. “People want to go home. Agok is crowded. The ground turns to mud when it rains. Back home everyone has a plot of their own to farm. But they’re afraid of another attack from the north so they remain here. And as long as they are here, the church will be here with them, even if the rest of the world doesn’t seem to notice,” Father Biong Kuol told me. 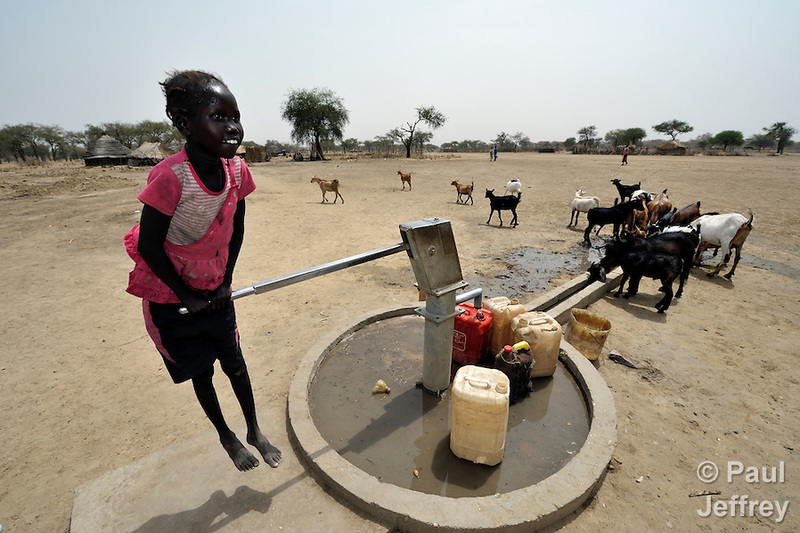 Some 4,000 Ethiopian soldiers are posted in Abyei, and they win kudos for recently providing water in some areas. RESOURCES: A lengthy description of Abyei’s recent history is contained in Dividing Lines: Grazing and conflict along the Sudan-South Sudan border, a July report from the Geneva-based Small Arms Survey. 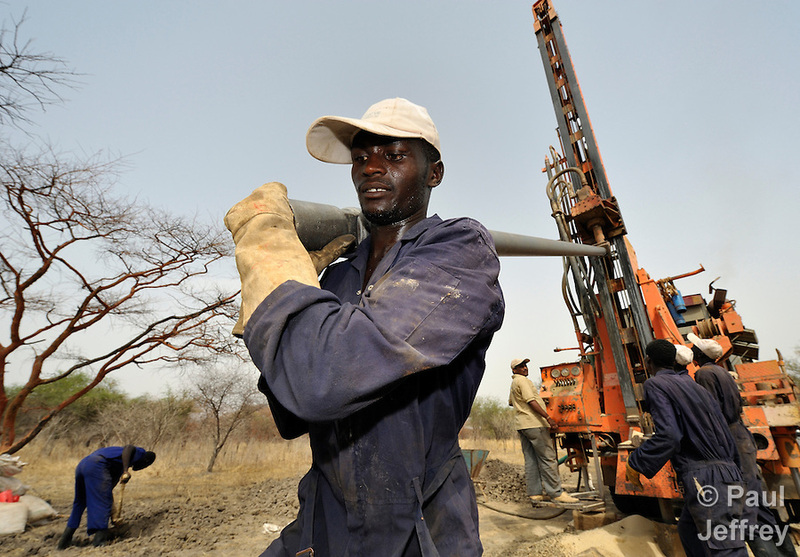 The Enough Project’s website also provides regular and accurate coverage of Abyei and nearby issues, including the Lord’s Resistance Army and conflict minerals in the Democratic Republic of the Congo. 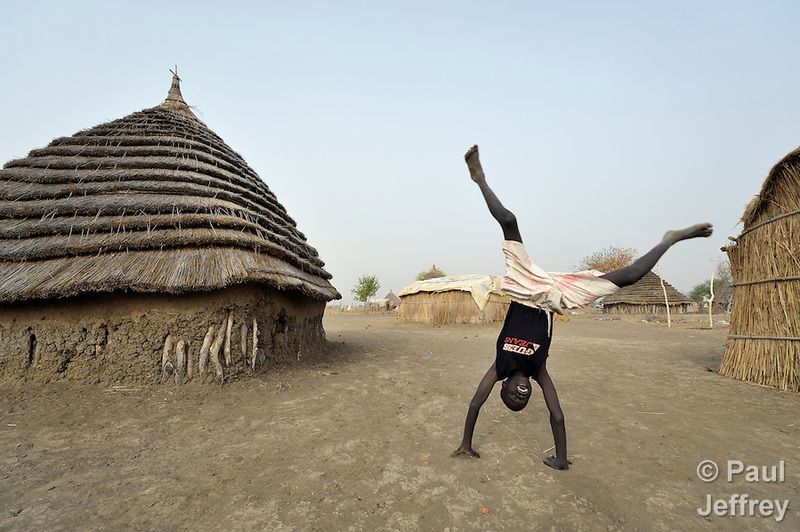 A collection of my images from Abyei can be found in this gallery. Portions of this blog appeared previously in Catholic News Service and the Christian Century. August 9, 2013 | Filed under Africa, Blog, Church, Faith, Refugees, War. Thank you for putting yourself in harms way to bring us in-depth reflections of life in Abyei and South Sudan. Your photos are fine art revealing love and respect for each person you portray. That skill comes from a truly compassionate heart. Such a tragedy that we continue to sacrifice one area or group of people for “the greater good”, ie NGO access to Darfur, while trying to categorize the cause as a simple black and white “tribal” issue. Praying that the military do not launch another assault on these innocents. 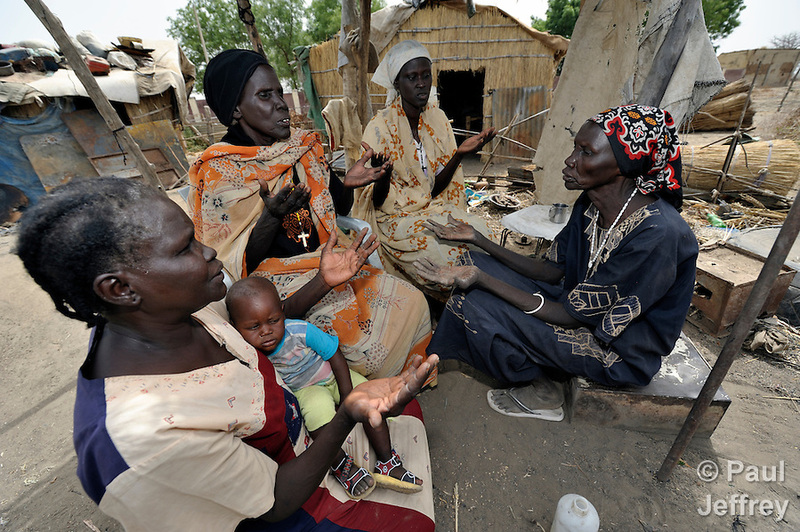 Blessings to the Solidarity team that risks their lives to help the people of Abyei. We need to wake up to the extenuating costs of our wanton appetites for the earth’s resources. Thank you Paul. I was completely unaware of these issues after South Sudan gained independence. 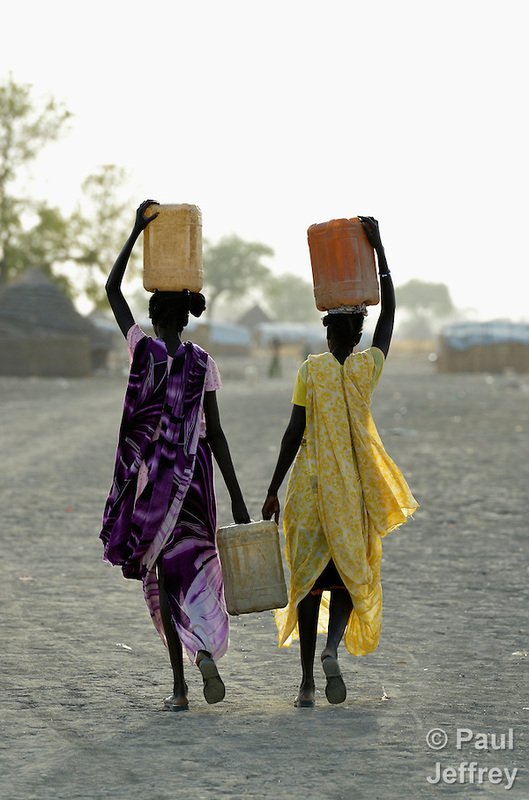 My heart and prayers go out to the people of Abyei. And I hope my friends will also read your article when I share it. And listen when I speak of Abyei.